Alex practices in the areas of workers’ compensation and public employee retirement law. He is a graduate of Georgetown University and the University of San Francisco School of Law. In 2009, Alex relocated to the Bay Area. 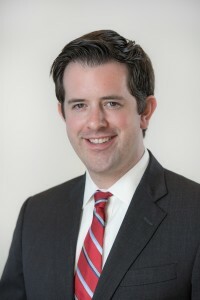 He earned his Juris Doctor in 2013 from the University of San Francisco School of Law, where he competed in national and interscholastic moot court competitions and worked as an associate editor for the USF Maritime Law Journal. Alex won CALI Awards for Excellence in Legal Ethics and in Environmental Law, International Trade, and the WTO. Alex was admitted to the California Bar in 2013 and practices in the areas of workers’ compensation and public employee retirement law. Prior to joining Jones Clifford, LLC in 2014, Alex served as Law Clerk to the General Counsel of the California Public Utilities Commission, where he represented the Commission in administrative hearings, evaluated applications for rehearing, and drafted appellate briefs. Alex lives in San Francisco, where he enjoys sports, camping, hiking, reading, travel, and spending time with friends. He has lived and worked in the United States, Cambodia, and Italy.